WHITE HAVEN, PA, June 9, 2011---On Friday, June 17th, 2011, at 4:00pm, author Michelle Russell will present a multi-media talk titled, Adventures on the Road to Oz – Discovering Judy Garland’s Family History. Ms. Russell’s book, From Tennessee to Oz – The Amazing Saga of Judy Garland’s Family History, Part 1, was released by Catsong Publishing in 2010, and covers the years 1793-1870. Part 2, which is being released this year, will cover the years 1870–1942. Copies of both books will be available for purchase at Ms. Russell’s talk and at the Judy Garland Museum in Grand Rapids. In her quest, Ms. Russell gained the cooperation of Judy Garland’s extended family and friends. Among these was a lady who once lived in the family home and took care of the three year-old child known as Baby Gumm. (Judy Garland’s birth name was Frances Gumm.) As a result of the generosity of countless persons, Ms. Russell was able to fill her book with many rare stories and photos. It is her hope that this fresh view of Garland and her family will enable the public to see them as the real people they were, rather than the melodramatic characters that have been passed down. Michelle Russell, who is also a singer, has appeared at the Judy Garland Festival numerous times. 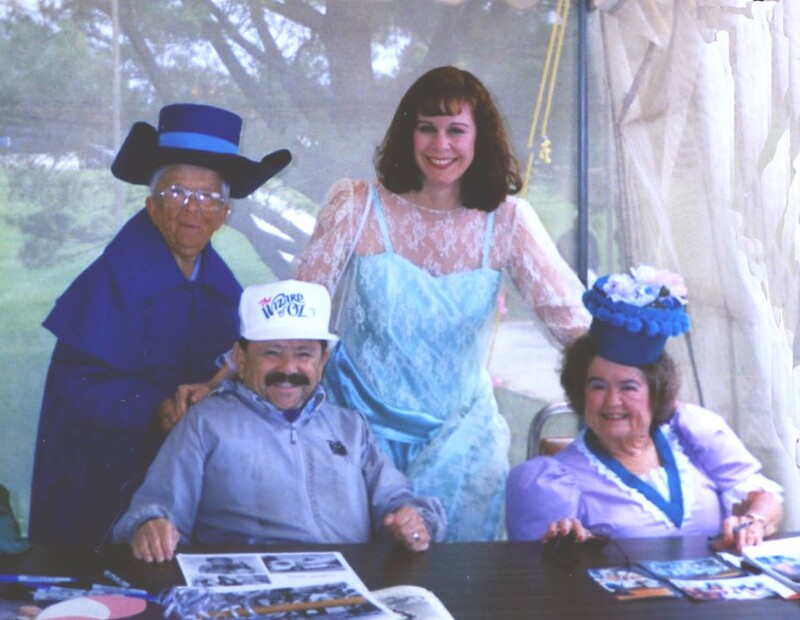 In 1997, she created a living history program for the Judy Garland Birthplace which was attended by many members of Garland’s family, including her former husband, Sid Luft, her son, Joe Luft and the Munchkins from The Wizard of Oz. The Friday afternoon talk will take place at the Wendigo Lodge, Nature View Room, 20108 Golf Crest Drive, Grand Rapids, MN. The price of admission is $10.00. For further information on the Judy Garland Festival, please call: (218) 327-2211. For information on From Tennessee to Oz, please call (570) 443-8275 or the Judy Garland Museum. Photos for press use: http://www.catsongpublishing.com. From Tennessee to Oz, Part 1, 278 pages, 55 images, $19.95, Part 2, 518 pages, 170 images. $24.99. WHITE HAVEN, Pennsylvania-- January 22, 2010--- Catsong Publishing announced today the release of a new book, “From Tennessee to Oz – The Amazing Saga of Judy Garland’s Family History” by author Michelle Russell. Judy Garland, who is best known for her portrayal of Dorothy in “The Wizard of Oz,” was descended from Tennessee pioneers who braved the wilderness and Indian attack to build a new land. Author Russell has unearthed a huge amount of material on Garland’s Baugh, Gum and Wade ancestry, which included ministers of God, adventurers and owners of plantations. Some of these people knew the likes of Andrew Jackson and Davy Crockett. The book also includes extensive research on the Civil War. This release is the first in a two-part series, and covers the years 1793 to 1870. There are over fifty illustrations including rare family photos, maps and historical places. During her research for the book, author Michelle Russell moved to Tennessee, where she spent twenty months over a three year period. She was able to find other descendants of Garland’s ancestors, as well as one descendant of the family slaves. In the coming months, Russell plans to travel, giving talks about her adventures discovering Garland’s ancestry. “No Garland authority has ever shown such tender loving care in describing the genealogy of one of the great talents of the 20th century. This is a book not just for admirers of Judy Garland, but for those interested in American history from the angle of one of its most seminal families.” - Lawrence Schulman, Producer of Judy Garland: Child of Hollywood (RPCD/Nimbus); Judy Garland à Paris (Europe 1/RTE); Judy Garland: Classiques et inédits 1929-1956 (Frémeaux & Associés); and a forthcoming box-set to be released by JSP Records.